C.B.S.E. has introduced the novel — The Story of My Life by Helen Keller under Long Reading Text to .. 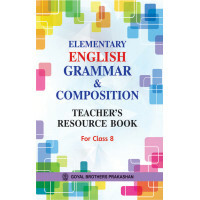 Elementary English Grammar & Composition Teachers Resource Book For Class 4 ..